Community Media Empowering Program (m – Com). We are partners from Cyprus, Spain, Italy, Greece, France, Poland and Turkey. 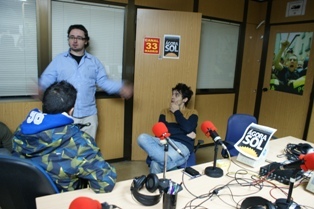 February 2013: FUNDACIÓN CIBERVOLUNTARIOS in Madrid (ES) hosted the 2nd transnational partnership meeting of the Community Media Empowering Program. Discussions revolved around best practices and initial feedback from needs analysis data collected in respective partner countries. 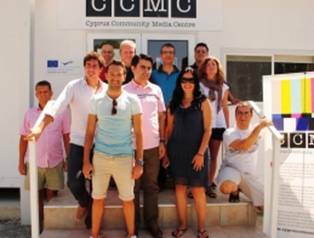 September 2012: Kickoff meeting of the European-Union-sponsored, Leonardo-Da-Vinci Lifelong-Learning’s “Community Media Empowering Program” hosted by the Cyprus Community Media Centre (CCMC) in Nicosia (CY). The project involves partners from Cyprus, Greece, Turkey, Spain, Italy, Poland and France. Its goal is to establish a community-media e-learning platform, supplemented by a comprehensive training curriculum with courses on different aspects of community-media production. Partner organisations are Community Media Centres, Vocational-Education Institutes/Training Centres, Adult-Education Providers, Counseling-/Information-Service Providers and Educational NGOs. All partners have experience in volunteer and vocational training and specialise in core fields such as Community Media, Community-Video Production, Technology-/ICT-Training and Training-Curriculum Creation. The main aims of the project are to design and develop training programmes and methodologies for Civil Society Organisations in areas such as Media Literacy, Social Media, Technical-Media-Equipment Skills, Communications and ICT/Online Tools.